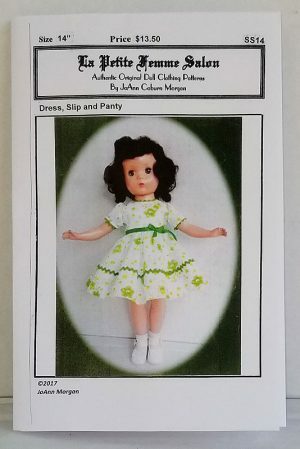 We were recently advised that a competitor of one of our websites created page on her site that was clearly ONLY there to scam Google and get people looking for our client (Joann Morgan Doll Clothes and Patterns). It is very frustrating when you spend years building a brand and a business (in this case Joann Morgan Doll Clothes and Patterns) to see someone abuse your hard work like this. Fortunately this customer was wise enough to register their trademark and were able to send a letter to the website owner telling them that they needed to remove this page on their website or face legal action. The thing is, what kind of business does this? If you get someone to come to your site for a product you do not even offer, what value are you providing to the customers that might land on your website? You would think that a smart business owner would realize that most people are more likely to be angry that you are committing false advertising and that you stand to lose more business than you gain. Since we do not want to promote the business that is guilty of committing this violation, we will not name them here. However, we have reported them to Google and hope that they get penalized accordingly. JoAnn Morgan Patterns are COPYRIGHT PROTECTED. What the person that put that page up is doing is simply WRONG.